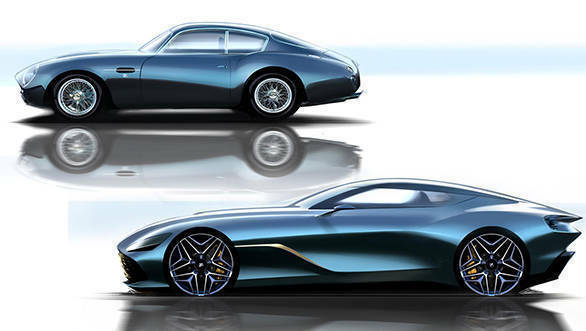 Aston Martin has released official renderings of the DBS GT Zagato which is a part of the company's exquisite DBZ Centenary Collection. The DBS GT Zagato is basically a redesigned version of the DBS Superleggera. The only way one can get the DBS GT Zagato is that it has to be bought with the DB4 GT Zagato Continuation. The Brit car maker will be building 19 pairs of these cars that have been priced at £6 million excluding taxes. Aston Martin has confirmed that the deliveries of the DB4 GT Zagato Continuation will commence in the last quarter of this year whereas that of the DBS GT Zagato will begin in the last quarter of 2020. 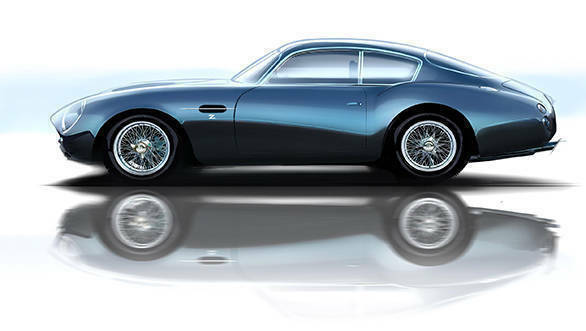 The DBZ Centenary Collection was conceived to mark Zagato's 100 years of existence. The iconic double-bubble roof has been recreated on the DBS GT Zagato that stretches along the length of the canopy. In fact, it has also let Aston Martin chuck the rear windscreen. The double-bubble theme continues frontwards across the car's bonnet, reminiscent of the shape and form seen on original Aston Martin Zagato designs. These flowing curves are complemented by the model's wide wrap-around windscreen, removing any hard lines above the car's shoulder line. Additionally, the DBS gets aunique wheel design, headlamps and a striking front grille. The Aston Martin DBS GT Zagato will be built at the company's Gaydon headquarters. The Aston Martin DB4 GT Zagato will be a recreation of the original that will be built at the Newport Pagnell plant which also manufactured the original model. This one will be powered by a straight-six generating 380PS paired with a four-speed manual gearbox. "In the DB4 GT Zagato Continuation we have one of the world's most beautiful and instantly recognisable pieces of car design. Creating a car fit to stand alongside it was always going to be a formidable challenge, but also a great motivation. Both design teams at Aston Martin and Zagato have together risen to the task magnificently; taking the already fabulous DBS Superleggera and shaping something which retains its identity as an Aston Martin, but expresses itself as only a Zagato can. Sensational-looking and extremely rare, it is the modern incarnation of a timeless icon." 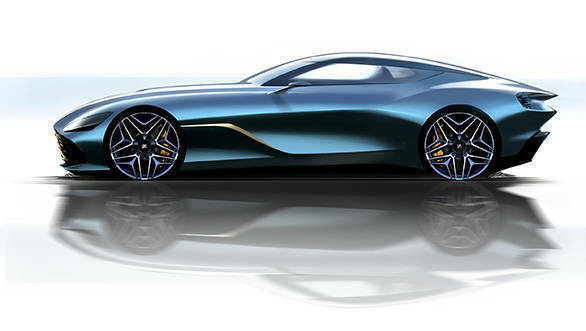 commented, Marek Reichman, Executive Vice President and Chief Creative Officer, Aston Martin Lagonda.